D&A Communications was retained to spearhead the 150th Anniversary for the Port of San Francisco with planning, organizing and executing a variety of tasks in support of their Gala Celebration for more than 500 people. The overarching goals of the Anniversary's activities were to 1) acknowledge this important milestone, 2) raise awareness of the Port's past, present and future contributions to SF, 3) build relationships among Port partners, tenants and city officials and 4) generate interest and support in future development at the Port of San Francisco. 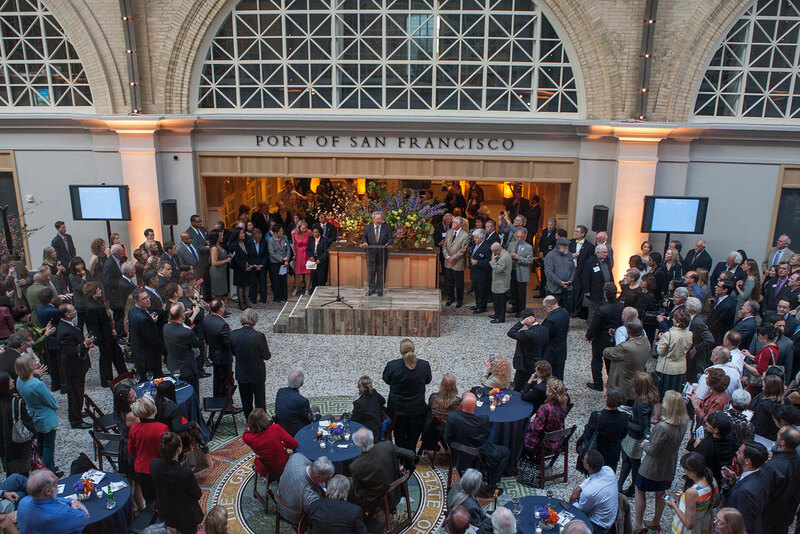 In celebration of the 150th Anniversary, the Port of San Francisco hosted an invitation-only Gala Reception on April 24th, at the iconic SF Ferry Building. The Port promoted the Anniversary's milestone by launching a corporate sponsorship program that generated over $100k in revenue for Friends of the Port and included Wells Fargo, the SF Giants, Princess Cruises, Hornblower Cruises, Pier 39, Autodesk, Bauer's Transportation, AE Com and others. 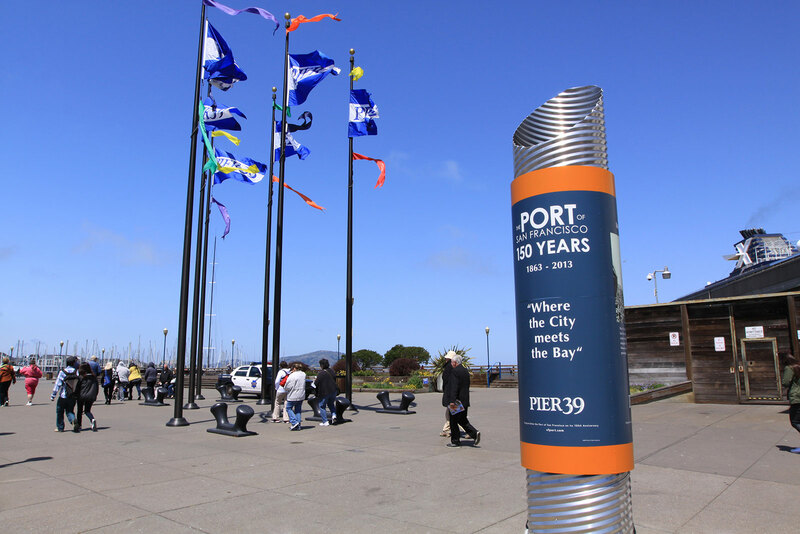 To kick off the official celebratory events, Pier 39, a port partner, hosted media days that included boat rides and desserts for all in attendance. D&A Communications launched a media campaign with CBS Television and the San Francisco Chronicle, in conjunction with a social media program and an added value TV and digital campaign that culminated in a 30-second TV spot running on the Giants Scoreboard and garnering over 200 million media impressions. SF Mayor Ed Lee the was keynote speaker in a Port commercial. We created a 5-minute Video Loop that paid tribute to all Port Sponsors and Dignitaries that played at Gala Reception. We pulled together live entertainment including, White Crane Lion Dancers, stilt walkers, caricaturist, jazz band, Ghirardelli Chocolate Girls. We also organized catering, local restaurant donations, 20 pylon signs embedded along the SF Waterfront, VIP room, photography, brochures and invitations. The MC was famous Bay Area news personality Belva Davis. SF Mayors and political dignitaries were all in attendance. Following the Port of San Francisco 150th Anniversary Gala, the D&A Communications contract was extended for the remainder of 2013.